Comment: An attractive display specimen of the famous Stilbite from Moore's Station. 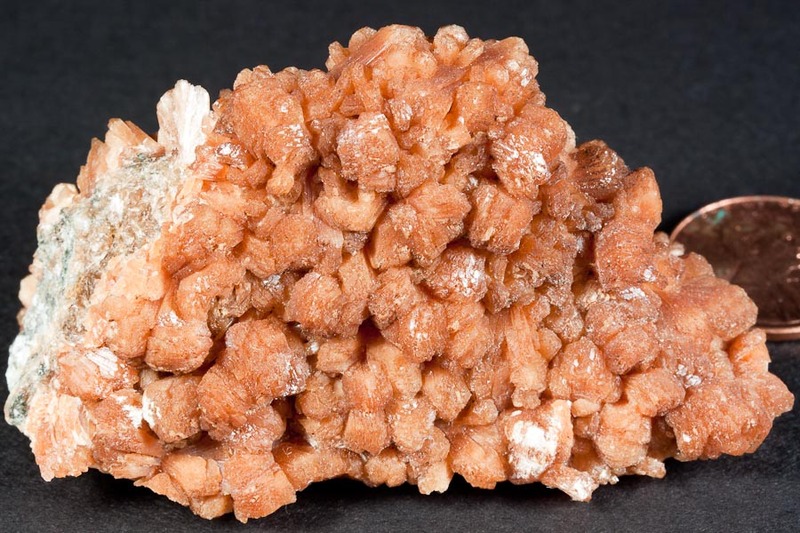 The piece is filled with eye-catching, reddish-orange color, lustrous Stilbite "blades" and "sheaves" up to 1.1 cm on matrix. The crystals cover nearly all sides of the specimen when displayed, and is a beautiful piece for the material. As a species, Stilbite typically is white/colorless in hue, so to find crystals with such a strong an eye-catching color is rare. The piece is certainly one of the better pieces from the locality that I have offered in the auctions.